Here at Broadland Business Park we have excellent conference room facilities available for hire to all businesses on the park. 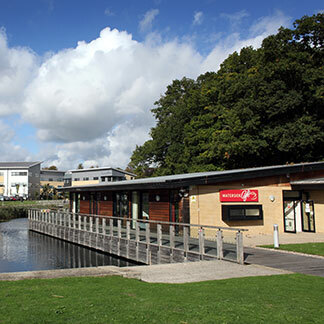 The conference room is located within the Waterside Café and has patio doors opening onto decking and views of the lake. The conference room boasts an acoustic wall, air conditioning, data points, Wi-Fi, projector screen, flip chart and pens. Seating can accommodate up to 24 delegates in theatre style or up to 14 in boardroom style. The conference room is flexible and can be configured to suit your requirements. Catering is provided by the cafe and is freshly made every day on site using local produce. The conference room is available at competitive rates and suitable for team meetings, presentations, workshops, seminars and much more. 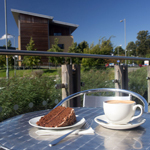 The Waterside cafe can also be hired for evening events, networking events, Christmas parties, birthdays and general celebrations. Please contact the Estate Management team for more information, to check availability and to book.